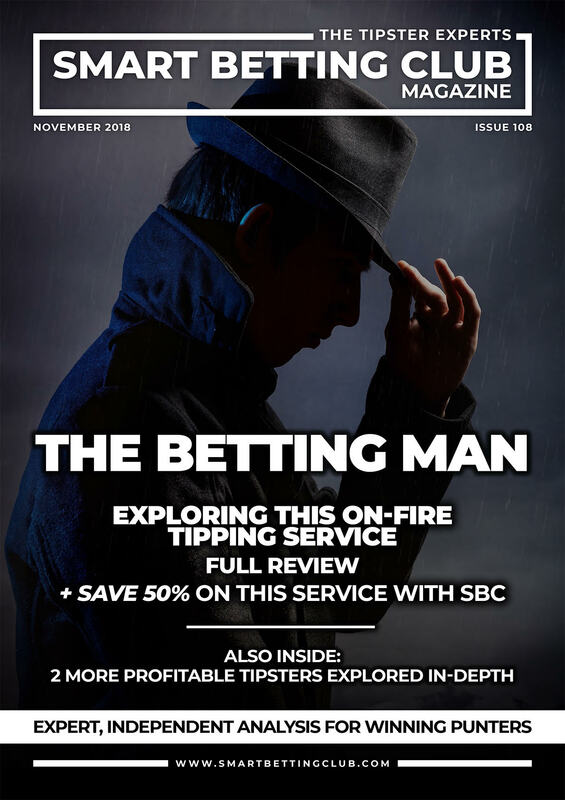 For a bit of a change, today I want to share with you my interview with one long-term SBC member, Dave, on how he runs a successful tipster portfolio – one that now makes him a five figure profit each year. Having exchanged several emails with Dave over the years, I approached him earlier in 2019 to ask if he would be willing to reveal more on how he does it and to share some of the secrets behind his success. The idea being to provide some real-life inspiration and guidance as to how he is making money betting using tipsters. 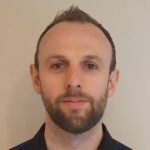 Thankfully, Dave was only too happy to help answer my questions, including details on a few of the key tipsters he follows and how he juggles the practicalities of running a winning portfolio. I have published Dave’s interview in full below for you to enjoy. Note – Dave is not his real name as I have changed this in order to protect his identity from prying bookmakers! For those of you keen to emulate Dave, you can now take advantage of our lowest EVER Smart Betting Club membership prices for 2019 to see how we can help your betting. SBC: Hi ‘Dave’, thanks for agreeing to be interviewed. I appreciate you wish to keep your exact identity a secret, yet first, I wondered if you could reveal a little bit about when you started betting and what first attracted you to it? Dave: I have always loved sport and have a passion for numbers and statistics. I guess it started way back with the Littlewoods pools coupon and trying to put my knowledge to good use – It never did though! With the internet age and betting explosion that followed, I was drawn into betting online and have never looked back since! SBC: In terms of using tipsters, why did you start using them rather than placing bets off your own steam? I had never really thought about using tipsters before, but when I investigated it further, it seemed logical to find out a bit more information about them to try to increase my profits. SBC: Can you remember the name of the first tipping service you joined and your experience with them? I had used the Timeform ratings for a number of years, but the first service I used was back in March 2014, just before the Cheltenham Festival. It was called Betting Emporium and run by a couple of guys I knew from the poker scene. They tipped Lord Windermere to win the Gold cup at 40-1 and Tiger Roll to win on the same day, which won at 10-1. I guess from that moment on, it seemed like a good idea to investigate the idea of tipsters further! SBC: That sounds a really nice way to start to your tipster journey and I imagine the guys you mention are Neil Channing and Joe Beevers, two punters who I’ve long looked up to myself. We proof the Betting Emporium here at SBC and have been impressed with the quality of service on offer. Before I ask you more about the tipsters you use, can you outline the sports you bet on and why? The main sport I follow from a betting perspective is Horse Racing. With bookmaker restrictions I have tried to diversify my portfolio, but nothing has really stood the test of time for me. SBC: Mostly horse racing – very interesting. How many tipsters do you follow, or have you followed in the past as part of your ‘portfolio’? I totted up how many tipsters I have used in the last 5 years for this interview and was amazed to see it stood at 181 in total! In terms of those I actively follow, I have a dozen now that I subscribe to, although a few of them I am just watching at the moment. The truth then is that I am placing bets with my own money from the bets advised by only 8 to 10 tipsters currently. Interestingly 5 of these tipsters I have followed since 2014 with the others added more recently. All bar two in the portfolio are tipsters that the Smart Betting Club recommend. SBC: Wow that’s a lot of tipsters! How many of the 181 have you watched but then decided to give a miss? Can you also outline how long you ‘watch’ a tipster for? Most of those I have subscribed to as part of that group of 181, I will give a miss. This is because I prefer to simply watch a tipster for up to 6 months in order to see if they will deliver for me and how I like to bet. Of those I have watched and walked away from – a lot of the time their results were not profitable in terms of how I would like to follow them. They might well be profitable for others – but they don’t fit into how and when I like to bet (or indeed can bet) so it’s a very important part of my analysis. SBC: And what about the 5 tipsters you have followed since 2014 – any you care to reveal? The longest serving tipster in my portfolio is Kieran Ward’s Morning Value Service – which I know you rate very highly at SBC. SBC: Do you have any preference for the type of tipster you like to follow and what is it you look for when evaluating them? The most important factor is that I like to know when the tips are coming out, so I can make myself available to bet. I also prefer tipsters that supply information later in the day, as it is much better for account longevity from a racing betting perspective. I also keep my own record to monitor the odds a tipster quotes and those I can take. For example, I don’t place any racing bets before 10am, so any tipster issuing bets before this time might not work for me – especially if their tips see significant support before I can get on. SBC: The 10am start point makes sense as betting before that time on racing is known to cause problems. Can I ask what you do when the odds move on an advised bet from a tipster in your active portfolio? Do you take the lower 10am price? I don’t like betting too early in the day and never overnight. So, the answer is it depends. Some tipsters are so heavily backed initially that the value goes right away and you are more likely to be flagged by a bookmaker. Many of these will drift out later in the day. So, my criteria are different based on the tipster. SBC: If you miss an early price, do you ever look to get a bet on closer to the race starting either just before the off or in-play? SBC: Indeed – and that goes to the heart of making sure you obtain a value price on any bet you strike. Digging into the profits you have made, which tipster(s) have made you the greatest Return on Investment? In terms of ROI, then there are a few that stand out, all of whom I discovered through yourselves. One racing tipster that I have been with for years is the Value Bettor, with whom I have a lifetime 20% ROI and who continues to impress. You can read the full SBC review of this service free via this link – Editor. One longer-term service is previously mentioned The Morning Value Service, which was the star of my portfolio for 3-4 years, however that has gone off the boil slightly during the last 15 months. SBC: How about Return on Capital (ROC) and bank growth? Have any tipsters hit lower ROI’s but made a greater turnover for you? They are many services that operate on smaller ROI but with larger volume. These are all about value propositions and are great for increasing your ROC. However most of these are difficult to follow because the prices go quickly and are the sort of selections that can get your accounts restricted fast. The minimum bet guarantee by some bookmakers will become useful for following these services, however you need to accept that the ROI % will be very much reduced from historic records. An example of this type of service is the racing service you recently reviewed in SBC 109. Based on my six month trial with them and my 10am starting point, my ROI would have been less than 1%. Someone else following them with full accounts and no restriction worries might do very well, but they do not suit when and how I bet. SBC: How often do you review your tipster portfolio and add in new services? I conduct a review every month where I look at 1, 3, 6, 12 and 24 month performance to help put results into context. Since my early days, my portfolio has become a lot more stable and I have only added in 1 new tipster since 2018. The others I have added I am paper trading. SBC: One of the questions many punters have is down to staking and when to increase. How has your staking changed over the years, if at all? My total staking hasn’t changed too dramatically over the last four years but getting the right balance and staking of each tipster takes time to get right. Thankfully my profitability has increased each year so clearly that is working to some degree. SBC: In terms of the practicality of following so many tipsters – how does that work for you on a day to day basis? The reality is that most of the services I use are low volume, so it is not too bad from a time perspective. Saturdays and festivals are always a little bit busier but most normal weekdays are relatively easy from a time/work perspective. SBC: That’s good to know it’s entirely manageable, but what do you do when you take a holiday or want a week off? Do you switch off entirely or continue to bet when ‘away’? There is a 3-4 day break normally at Christmas! Seriously it is important to take a break from anything you do, and this is no exception, so I do try to switch off entirely, although I can’t say that I always achieve this. SBC: Another issue for many punters is losing runs and how to deal with bad runs of form when your tipsters can’t seem to find a winner. How do you handle them? The first time something bad happens, i.e. you have a big losing week or a losing month, it is pretty hard to take, and you have to rationalise to yourself what you are doing. When losing, you go through a range of emotions, but ultimately, I trust in what I am doing and have the long term results to prove it, so I always reflect on that. That is where my records where I can see performance stringing back 24 months help. SBC: Obviously as a winning punter, most people wonder how you get your bets on. Do you use bookmakers or exchanges or a mixture of both? This is the most difficult part these days – getting the bets on. I try to spread mine out as much as I can, and I have a detailed spreadsheet that includes every bookmaker I am aware of! That would be my tip – open as many accounts as you can and spread your bets out amongst them. SBC: Are there certain firms you use more than others to place your bets? I will place a bet wherever I can, but most firms have shut me down. Thankfully many new ones pop up all the time and I am getting better at ensuring those I do open, remain so. SBC: Do you have any tips that you care to share on how you keep them open? Well, as per my last point, I don’t think there is a bookmaker I haven’t used, although keeping your accounts open is definitely an art form. Ultimately, you don’t realise how important your accounts are until you can’t use them, so don’t ignore this problem until it impacts you. SBC: Finally, what advice would you have for those keen to repeat your success and run a tipster portfolio? Be disciplined, be truthful and use the information that is out there. The SBC has a plethora of information available so there is no better place to start! I would also recommend reading Rowan’s Bet Diary Pro on the realities of following a tipster portfolio. We have different portfolios (albeit with some similarities) but the idea is the same and many of the things that impact us all such as handling losing runs are discussed on there. A huge thank-you goes to ‘Dave’ for giving his time and expertise so readily as part of this interview. If Dave’s experience has inspired you to consider using tipsters to make a profit, then you can now join the Smart Betting Club and take advantage of our lowest EVER membership prices for 2019. All told, it’s our best ever SBC membership deal and with this amazing money back guarantee offer you have everything to gain and nothing to lose. It has been an outstanding 12 months for one of our free tipsters at SBC: The Betting Man and whilst their time with us is now coming to an end, their performance only serves to highlight how our free tipsters can give you a head-start with your betting. All told, since he began sharing his tips for free with SBC members in November 2017, The Betting Man has made 317.4 points profit at 27.82% ROI from 613 bets. That’s over £3000 at simple £10 stakes…not bad for a free tipster! “I’ve got nothing but positive things to say about my experience with The Betting Man. Very simple to follow, reliable and profitable- all the key things you want from a service. Whilst The Betting Man is shortly to stop supplying his advice for free (to be fair he did do this for 12 months!) there remain several other tipsters you can follow for free with a Smart Betting Club membership. Each of them provide an ideal solution for those of you not wishing to spend big on tipster subscriptions but keen to get started punting profitably. Here is a brief synopsis on 5 of the best experts on our books – all 5 are available to follow via the SBC Tipping Forum and also via direct email supply of tips. 1. Rooster Racing Tips – Averages 30 to 40 tips per month, usually at big prices. Since 2014, he has made in excess of 430 points profit at 23.8% ROI including 5 winning months on the run. 2.The Accountant Lays – Advises lays in the ‘place’ racing market at short prices. From the 131 qualifying lays so far, he has made a profit at Betfair SP of £3,232.71 to £100 stakes. This includes a deduction of 5% commission Betfair SP on any winning lays. 3. Five Star Favourites – Advises regular short priced racing tips (favourites) with an excellent record of performance to date of just under 60 points profit @ 11% ROI over 550 bets. 5. *NEW* Lay The Draw Football Strategy – A very simple strategy laying the draw in football matches – in 2018 this tipster has made a 42.7 pt profit at 5.4% ROI from 254 lays. He has been posting all tips on the SBC Forum since May and later this week he will also begin sending them via email as well. The tipsters mentioned above are available to follow for free each day as part of your Smart Betting Club subscription (Silver, Gold or Platinum). Best of all, you can now sign-up totally risk-free thanks to our 90-day money back guarantee ,which ensures if you find our service (and these free tipsters) not for you, then you can get a full refund.